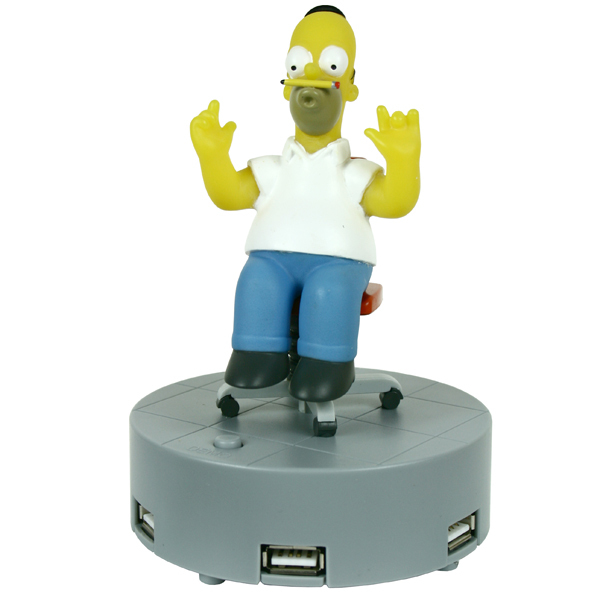 OK, so the real Homer Simpson perhaps isn't the best person to trust with your data transferal, but if you need some trustworthy equipment and some entertainment then this animated USB hub is perfect! "This is a nice product but it is not 'Mains Powered' as it says on this page. It is powered via the computer USB bus. Drinkstuff says: Thank you for your comments Mohd. 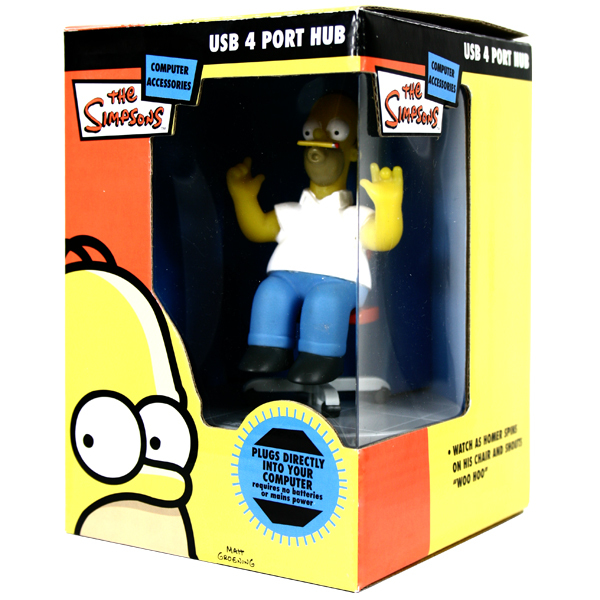 The USB port has the option to use a mains power source but our description wasn't clear. Thank you for making us aware. We have now updated the site." "My desk used to be boring before i got myself one of these. i'm a huge simpsons fan. I love the animation on the site. The guy who created it must be a gorgeous genius!"